So as its only 25 days till Christmas I thought I would blog every day of December and call it "blogmas" I hope you enjoy my posts in the next month and hopefully I will post every day fingers crossed so let's get on here is my November favourites!!! 1) carex strawberry laces soap. My mum bought this as a joke about a month ago and has repurchased it 3 times, it smells absolutely amazing it's so sweet without being sickly. Golly I love it !! 2) the body shop fuzzy peach shower gel. I love body shop shower gels and this one is no exception. It smells bloody lovely I love the way it lathers as well. 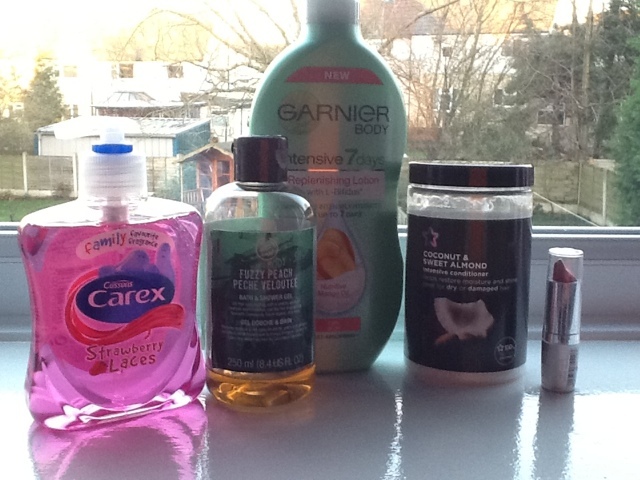 3) garnier body intensive 7 days replenishing lotion for dry skin. 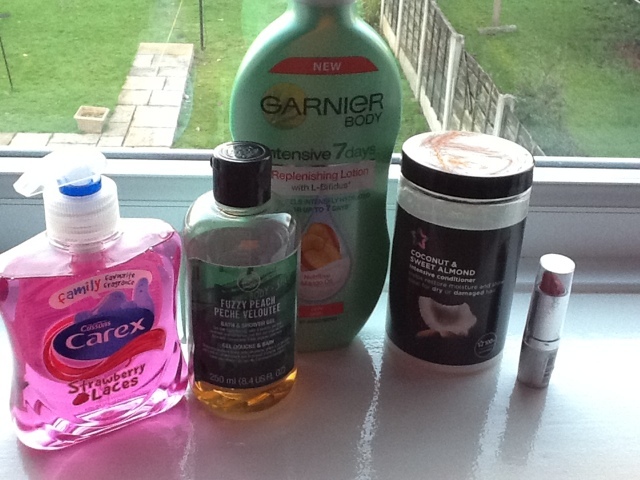 4) superdrug coconut and sweet almond intensive conditioner. This stuff is liquid gold it makes my hair feel so soft and leaves it super shiny I just love it so much ! It also smells fab which is always a welcome bonus. 5) wet and wild lipstick in E529B copper dust. 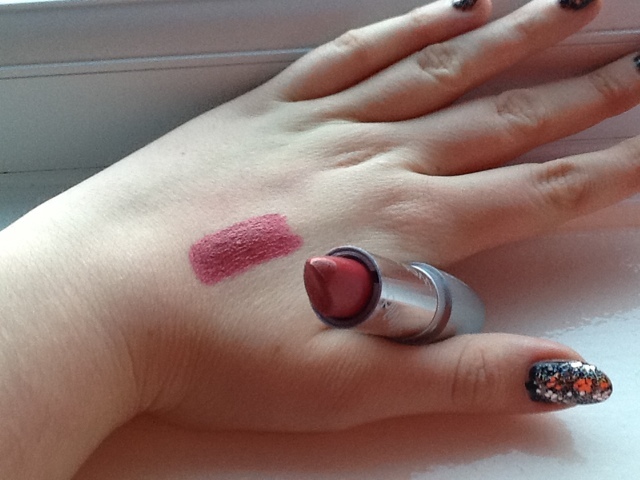 The first and only make up item in this months favourites, this lipstick is amazing its a gorgeous deep red with gold running through it. I find it to be incredibly moisturising and easy to apply even though its such a dark colour. Unfortunately you can't purchase this in the uk so I really don't know what I will do without it!! !